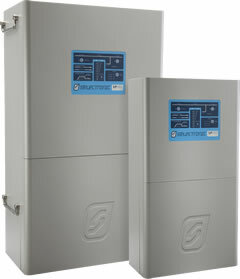 The SP PRO is a smarter multi-mode inverter which controls and manages every aspect of your energy needs. The SP PRO is suitable for both Off-Grid and Solar Hybrid (grid-connect) installations for residential, commercial and industrial projects. Our inverters provide true transition from a hybrid to an off-grid system (and vice versa) with a simple on-site setting change. 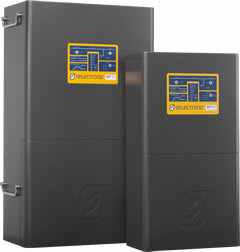 Selectronic's inverters are made locally and installed globally. You can find SP PROs in the tropics of Indonesia, the mountains of the Himalayas, the deserts of UAE, the outback of Australia and on suburban homes throughout the world. Selectronic has you covered with these world-renowned inverters that offer grid independence, outstanding reliability, ultimate flexibility, retro-fit capability, up to 10 year warranty and after sales support that is second to none. By incorporating a renewable energy source with the SP PRO and batteries, you can be sure you will never be without power. Use this calculator to determine the right Selectronic components for your Solar Hybrid system and to model the basic performance of that system.